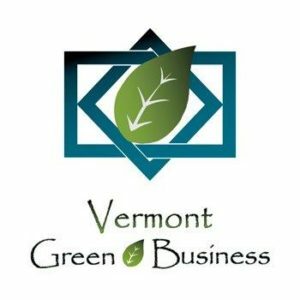 Take a look around and see what a great place this is to relax and re-charge, or experience Vermont’s wonderful outdoor activities. 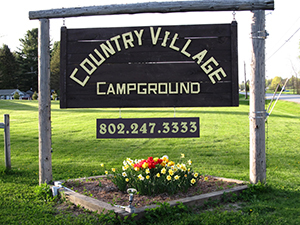 Country Village Campground is a small campground with large wooded sites located conveniently in the middle of the state with easy access to the many splendors of Vermont. A quaint village, 2 lakes, a river, a creek, restaurants, stores, entertainment and hiking trails are all within 5 miles and make activities a short walk or ride away. Country Village Campground offers a 20% discount to active duty and retired military as well as current and former first response members. The grounds and facilities are well-maintained and personal attention is paid to every detail. Country Village Campground is committed to protecting the environment, the health and safety of our employees, and the community in which we conduct our business. It is our policy to seek continual improvement throughout our business operations to lessen our impact on the local and global environment by conserving energy, water and other natural resources; reducing waste generation; recycling and; reducing our use of toxic materials. We are committed to environmental excellence and pollution prevention, meeting or exceeding all environmental regulatory requirements, and to purchasing products which have greater recycled content with lower toxicity and packaging, that reduce the use of natural resources. 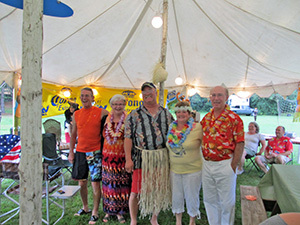 Check out photos from fun weekends, holidays and all around good times we've had at the we Country Village Campground. Click here to view our rates and a map of our campground. 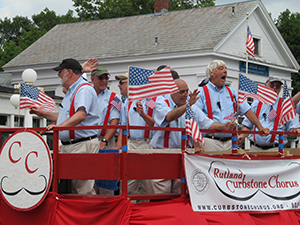 Check out the great events we have had in the past and see how much fun you and your family can have at the Country Village Campground.